Welcome to the second instalment of our financial advice for expats alphabet. This time we explain a bond, where it is used, and touch on why it has been in the news lately. 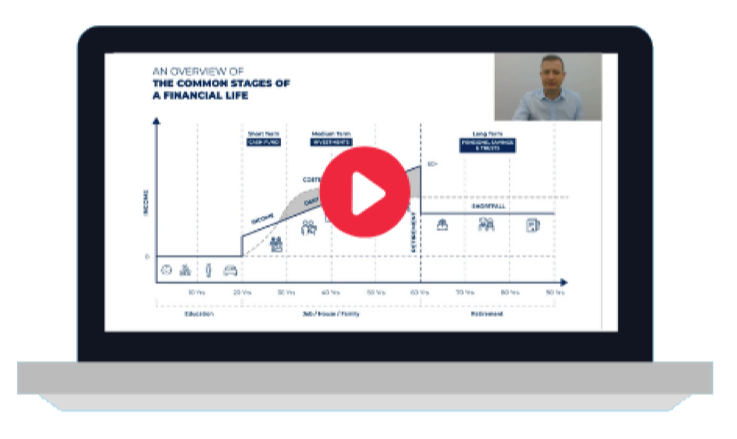 Last time we looked at Annuities – click here for the explanation. In international or expatriate markets, investors are probably more familiar with the term “offshore bond”. This is a type of tax-mitigating life insurance product has nothing to do with the type of bond we are looking at here. To find out more about offshore bonds, click here. The bond we describe here is a type of tradable asset class commonly bought and sold by fund managers and institutional investors. Retail (man-on-the-street) investors will also have exposure to bonds through investment funds which trade in them, often income-generating funds. The simplest way to understand a bond is to view it as a debt. A bond will be issued (or sold) by a company or government in order to raise money. The issuing institution is paid a set amount (called the principle) by the purchaser and will in return make a promise to repay the money, plus an annual coupon, at a set date in the future. In addition to the promise to repay, the majority of bonds will also pay the holder a fixed amount of money semi-annually or annually. This is known as a coupon. It is this coupon which makes bonds attractive to fund managers managing income-generating funds. As a consequence, bond funds are also a very useful component of an investor’s portfolio – particularly if you are seeking an income. 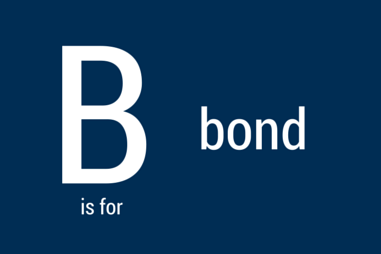 Another name for a bond is fixed interest, and this is a helpful name for explaining a little more detail about this type of asset class. The coupon, or fixed interest payment, is what makes the bond an attractive asset to hold. This is because the issuer will pay the holder in regular instalments. During periods where there are low interest rates – as there are currently – bonds are even more attractive as they provide what normal cash cannot – a high rate of interest. Understanding that bonds pay a regular coupon in addition to their repayment value, also helps to explain why bond ratings are important. Bonds are rated by companies such as Moody’s and Standard & Poor’s based on the ability of the bond issuer to repay both the end debt and its regular coupon. Ratings can also be thought of as the probability of default. An institution deemed very likely (or almost guaranteed) to repay, such as the UK Government or a S&P 500 company like Microsoft, will hold a “AAA” rating. As they are therefore a relatively low risk investment, they will pay you less to take the “risk” of their debt, so you will earn less than on lower rated bonds. These ratings fall all the way to “C”, which is the lowest rating a bond can have before it is in default (“D”). Anything below “BB” is known as a junk bond. These junk bonds should not necessarily be dismissed, as they will, as with higher risk equity investments, provide the potential for a higher return than their safer counterparts. Bonds have been in the news, why? Bonds are increasingly being written about by the financial press at the moment because of concerns that their bull run (moving up in value) could be coming to an end. The reason for this is quite simple. Central banks in the UK and the US, which are big issuers of bonds, are currently preparing to increase interest rates for the first time in years. In the case of the UK, interest rates have been at 0.5% since 2009. As explained earlier, high coupon bonds are particularly attractive when interest rates are low, so any increase in rates could conversely damage the bond market due to the inverse relationship between bond prices and interest rates. If you would like any further information about bonds or would like to discuss investing in them, please click here or the link below. Although B is for Bond, I wanted to round off this blog by responding to one of our readers’ suggestions. Thank you Lora Coventry (@Lora_Coventry) for suggesting B is for Black-Scholes pricing model... This is always a pricing model on the tip of my tongue, as with all those other pricing models… We did ask for suggestions though and so, with my trusted Lamont’s financial glossary to the rescue, allow to me to regurgitate, sorry briefly explain, the Black-Scholes pricing model. Incidentally, a call option is a contract which gives one the right (though not an obligation) to buy a fixed number of shares at a specified price within a predetermined period of time. I am almost certain though that my explanation of the Black-Scholes pricing model will have raised more questions than it answered, but please do make more suggestions – we love a challenge at AES International! If you have any further questions about bonds, or indeed the Black-Scholes pricing model, contact AES International using the link below.